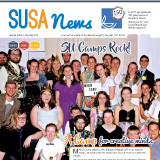 Your current edition of SUSA News is available here for download. 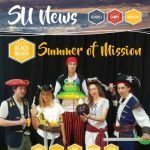 If you’ve missed any editions of SU news, or just want a refresher on an article, you can download that edition with a click of your mouse – It’s never been easier! From the Director | From the Chair | Can we future-proof SUSA? SU/PF Camps | From the Chair | Upside Down Circus | SU/Fiji Trip | Swotting Madd ?